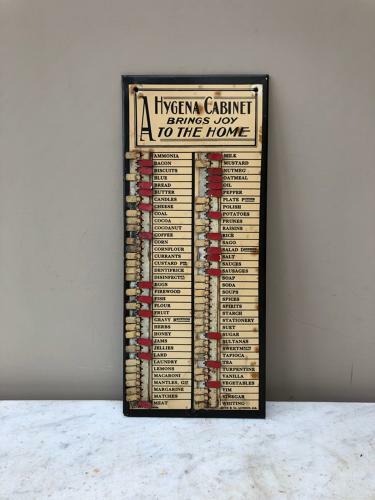 Lovely Condition 1930s Household Wants Indicator advertising the Hygena Cabinet. Full working condition with all the metal tabs present! Often some are missing. Holes to wall hang. Patent number at the bottom left. Charles Letts & Co. London. SE bottom right.